Slap Upside The Head: Hoppy Spring! Since I’m out of town to visit family for Easter, there’ll be no making fun of the anti-gay crazies today. 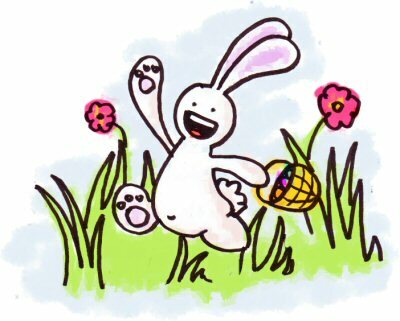 Instead, enjoy this picture of the Entirely Secular Vernal Equinox Bunny, bounding through the grass with a basket of non-religious April eggs! Happy Spring, everyone!